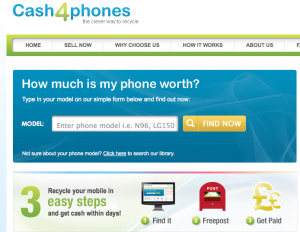 Is it possible to cash in for your old mobile phones? YEAHHH! I honestly can tell you that I have about 10 old cell phones that are just sitting in boxes, with cables and all of the manuals that came with it. WHY? I guess if one breaks, even though I honestly can’t see myself pulling out my old Nokia phones without color and 1 inch screen size :o.. After using my iPhone, Blackberry and Android phones, there is no way I could return. 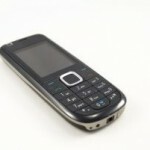 Oh well, now after researching I’ve found a place to recycle these old mobile phones. 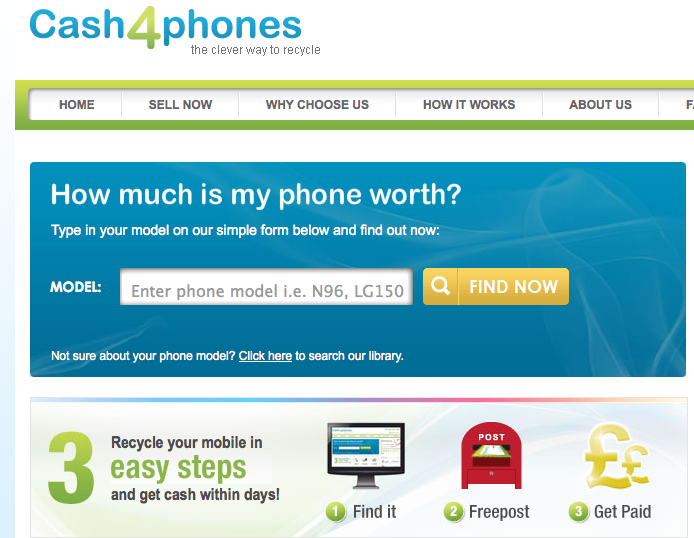 With Cash4phones.co.uk, you can just type in your cell phone brand number and manufacturer and it will spit out the price and value of that phone. 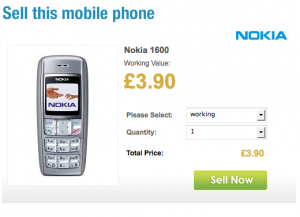 You can choose the condition in which your mobile phone is in, to see the recycle price value. Options include: Working condition or Non-Working. 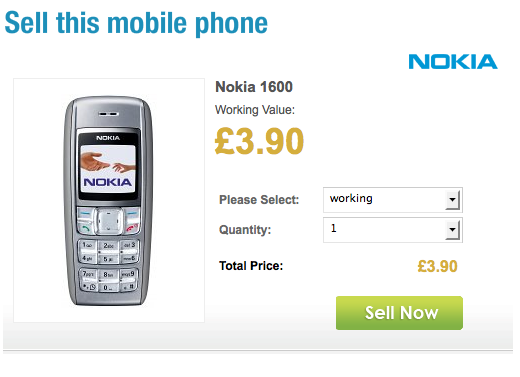 I just typed in my case: Nokia 1600 (OLD I KNOW) and the value is £3.90 . I’m not going break the bank with that but.. 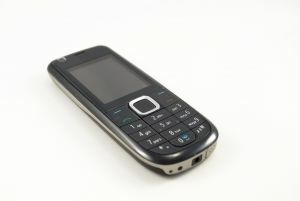 Currently, here are the mobile phone brands that you can sell and recycle for cash!